FOXFIRE cubs are found in fires that burned out overnight. No one knows where they come from. 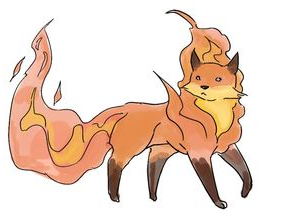 Foxfire, the Smoke tuxemon, is a Fire-type monster. One of the exchange student starting tuxemon. Original design and sprites by Sanglorian. 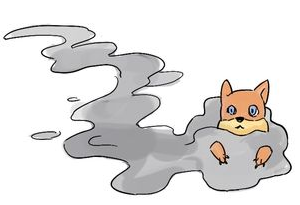 Other art by Leo. This page was last modified on 21 October 2018, at 10:19.